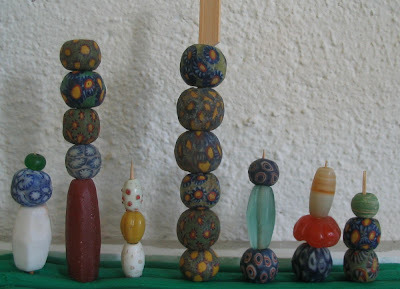 Jatims are ancient glass beads from Indonesia. 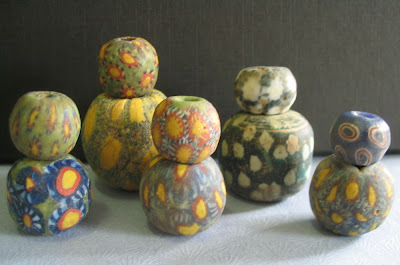 I am revisiting and trying to relove my jatim beads even though I am not sure how many of them are genuine and how many are fakes. They look pretty neat onscreen and I may just about con myself into believing their authenticity. Heh! Heh! 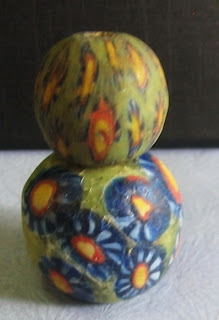 Fakery or fogery aside, these beads are decorative and appealing. Jatims are more outstanding seen vertically than lying flat. 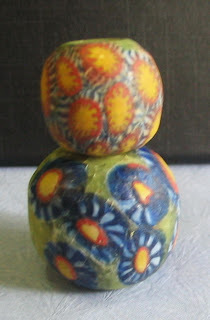 I got the idea from a bead display I saw on the net.